Short-drag or Short-haul chantey. This may be one of the oldest around: the bowline is a knot and also the line used to pull the weather edge of a square sail as far out to windward as possible when reaching as close to the wind as possible, the vessel being said to be “sailing on a bowline” once this is achieved. 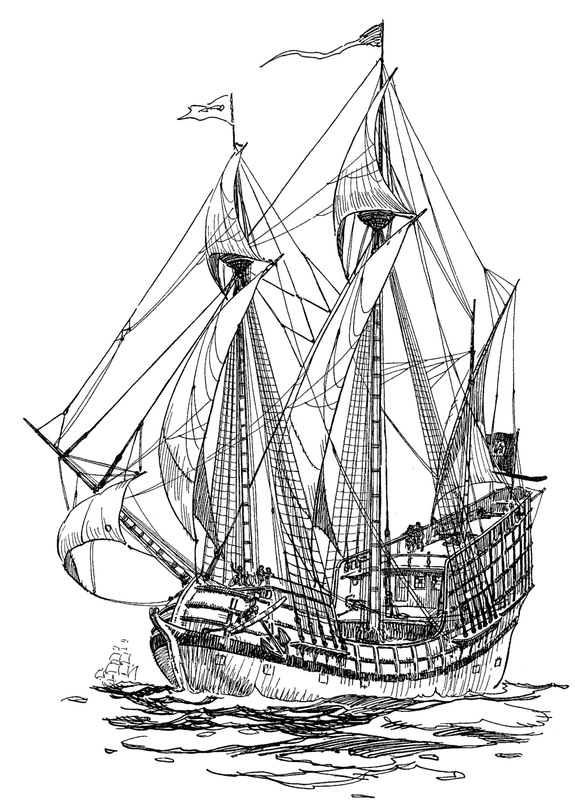 It was somewhat obsoleted by the introduction of staysails in the early eighteenth century. Both Tim and Rick each have their own versions of this work song; any good chanteyman would improvise according to his preference, so it really was not a case of the same man singing the same song the same way each time, much less the chanteyman for every ship singing it the same way! 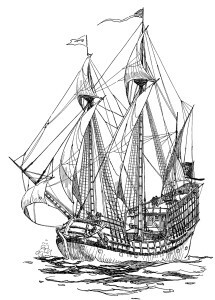 16th century vessel sailing on a bowline. Chorus: Haul on the bowline the bowline haul! Chorus: Haul on the bowline, the bowline haul! They spend me money quick on shore. Pack me bag, to sea once more! Love this chantey. Actually heard it the first time in the video game Assassin’s Creed III. Really grabs your attention.